Tan Sri Dato' Ir Wong Foon Meng, Malaysian, aged 64, was appointed as Chairman/Independent Non-Executive Director of the Company on 1 June 2010 and redesignated as Independent Non-Executive Director on 20 April 2013. He graduated in mechanical engineering from the University of Technology Malaysia in 1978. He spent his early career in Government service where he held various positions at technical and administrative level. He had a distinguished career during his 13 years’ service and had been attending various technical trainings, conferences and management courses at international level among others in Thailand, Philippines, Japan, France, Yugoslavia and USA. He had also been accorded the Excellence Service Award by the Ministry of Science, Technology and Environment in 1982. His last position held was as the Regional Director of Department of Environment for Terengganu and Kelantan before he left the service to be in the private practice in 1991. He was elected as a State Assemblyman in Terengganu in 1995 and subsequently appointed as a member of the State Executive Council (EXCO). He was appointed as Senator and elected as Deputy President of the Senate of Parliament of Malaysia in 2004. He was then elected as the President of the Senate from July 2009 until April 2010. During his tenure with the Parliament, he had fostered close bilateral relationships with the Governments and Parliaments of countries in Asia, Africa, Europe as well as South America. 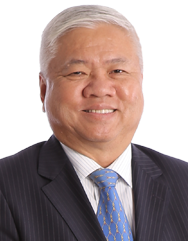 Tan Sri Dato' Ir Wong Foon Meng's extensive experience in the public sector, executive and legislative experience at state and federal level, as well as corporate experience in the later years has enabled him to lead and share his experience with the Board. He is the Chairman of the Nomination Committee and Remuneration Committee. 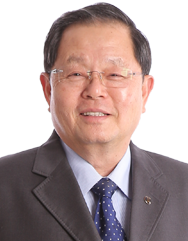 Tan Sri Datuk Tee Hock Seng, JP, Malaysian, aged 69, was appointed to the Board on 5 November 1990 and was subsequently appointed as the Group Managing Director on 22 November 1994. He is an experienced entrepreneur with more than 40 years business acumen in trading, construction and development. He is responsible for the day-to-day operations of the Group. Currently, he is an Exco member of Malaysia South-South Association and Perdana Leadership Foundation. He is a Director of Malaysian South-South Corporation Bhd. He also serves as the Honorary President of The Federation of Hokkien Associations of Malaysia, Honorary Chairman of the Malaysia Quarries Association, Honorary Chairman of The International Fellowship of Eng Choon Associates, President of the Kuala Lumpur Eng Choon Hoey Kuan, Chairman of the Chinese Maternity Hospital (CMH) and Deputy President of Tung Shin Hospital and Chairman, Board of Governors of SMJK Confucian. He is also the Honorary Chairman of the Young Malaysians Movement and The Federation of Malaysian Clans & Guilds Association as well as an elder of Elim Chapel. He was appointed a member of the Senate (Ahli Dewan Negara), Parliament of Malaysia on 15 July 2008 for a duration of three years and had served as Treasurer-General of Malaysian Chinese Association (MCA) from 2008 to 2010. A respected individual in the construction industry, he was accorded the “Most Prominent Player” by the Construction Industry Development Board in 2005, being one of the highest individual award recognised by the industry. He is also the Chairman of the Group Executive Committee and a member of the Remuneration Committee. Dr Tony Tan Cheng Kiat, Malaysian, aged 70, founded Bina Puri Sdn. Bhd. in 1975 and has been the Executive Chairman since its inception. He was appointed to the Board of the Company on 5 November 1990. He is responsible for the growth and ongoing development of the Company’s business. He was instrumental in the development of a number of major projects throughout Malaysia for the Group. He holds a doctorate in Business Administration and is also a licensed builder. He has been successful as a private property developer in Australia. With his wide experience, he has brought much progress to the Group. Dr Tony Tan is a member of the Group Executive Committee. Datuk Matthew Tee Kai Woon, Malaysian, aged 43, joined the Company in December 2003 as Special Assistant to the Group Managing Director. He was appointed as Executive Director on 1 December 2009 and was redesignated as Group Executive Director on 7 March 2013. He is a Chartered Accountant and holds a Bachelor of Commerce (Accounting and Marketing) from the University of Auckland, New Zealand. He has been a member of the Malaysian Institute of Accountants (MIA) since 2002 and was duly awarded the status, Fellow Certified Practising Accountant (FCPA) by CPA Australia in March 2016. He is also a Certified Financial Planner (Financial Planning Association of Malaysia). Previously, he was the Administrator of the Chinese Maternity Hospital from 2001 to 2003 and was once attached to PricewaterhouseCoopers in the audit department from 1999 to 2001. He was also a Business Services Accountant with Marsden B. Robinson Chartered Accountants (New Zealand) from 1998 to 1999. Datuk Matthew Tee is the Immediate Past President of the Master Builders Association Malaysia (MBAM), serving as President from 2012 to 2016. Previously, he served as a Board member of Construction Industry Development Board Malaysia (CIDB Malaysia) from 2013 to 2016 and Construction Labour Exchange Centre Berhad (CLAB) from 2012 to 2016. 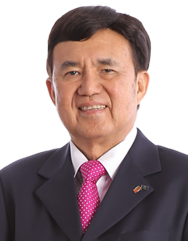 Presently, he is the President of the International Federation of Asian and Western Pacific Contractors’ Association (IFAWPCA). He sits in the Board of Advisory of CLAB as well as a member of the Advisory Committee on Hotel and Tourism Management by the Chinese University of Hong Kong for the term 2017-2018. He is also the Honorary Treasurer General of Malaysian Steel Structural Association (MSSA). On 24 January 2017, he was appointed as an Independent Non-Executive Director of Chin Teck Plantations Berhad. He also holds directorships in other companies. 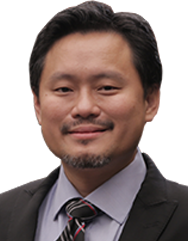 Datuk Matthew Tee Kai Woon is a member of the Group Executive Committee. 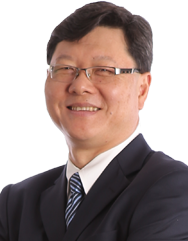 Dato’ Yeow Wah Chin, a Malaysian, aged 58 was appointed to the Board on 31 May 2013. A lawyer by profession, Dato’ Yeow holds a Bachelor of Economics (Hons) degree from University Kebangsaan Malaysia in 1984 and worked with Maybank for a number of years before he went for further studies to read law at the University College of Wales, Aberystwyth, United Kingdom in September, 1989 where he graduated with LLB (Hons) degree in 1991. Upon his return he sat and passed his Certificate in Legal Practice and continued to serve Maybank for two years before he set up his own legal practice, Messrs Yeow & Salleh in 1994. He specialises in banking and commercial law. He had served as a member of Advocates and Solicitors’ Disciplinary Committee for some years and had also served as a committee member of the Conveyancing Practice Committee of the Bar Council. 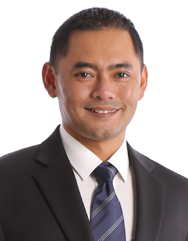 As an experienced practising lawyer, he has also been appointed to serve as Legal Advisor for Society of Interpreters of the Deaf in Selangor and Wilayah Persekutuan and Yeow See Association in Melaka. He is the Chairman of the Audit Committee and a member of the Nomination Committee and Remuneration Committee. 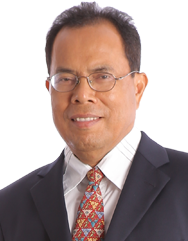 Ir Ghazali Bin Bujang, Malaysian, aged 67, was appointed to the Board of the Company on 31 May 2013. He is an engineer by profession and is currently the Executive Chairman of Ghazali & Associates Sdn. Bhd. He graduated with a Bachelor of Engineering from the University of Liverpool, England in 1974 and obtained a Master of Science from the University of Leeds, England in 1979. He is a member of the Board of Engineers, the Past President of the Association of Consulting Engineers Malaysia (1992-1994) and Honorary member of the Association of Consulting Engineers Malaysia. He has vast experience in planning, engineering and management of infrastructure and development works. He also has a broad and balanced knowledge with respect to issues on economic and finance, technical and environmental relevant to development and infrastructure projects. He is a member of the Audit Committee, Remuneration Committee and Nomination Committee. Mohd Najib Bin Abdul Aziz, Malaysian, aged 45 was appointed to the Board on 31 May 2013. He is an accountant by profession and graduated from the University of New South Wales, Australia with a Bachelor of Commerce (Accounting) Degree. He is a member of the Institute of Chartered Accountants in Australia (ICAA) as well as a member of the Malaysian Institute of Accountants (MIA). He is currently the Managing Director of Corporate-Pacific Holdings Sdn. Bhd. and an Independent Non-Executive Director of Tropicana Corporation Berhad. He was the Assistant Manager of Global Corporate Finance in Arthur Andersen & Co. and had held the position of Senior Consultant with the Corporate Recovery Division of KPMG for three years in Perth, Western Australia. He is also a director of several private limited companies. He was previously an Independent Non-Executive Director of Kumpulan Jetson Berhad, ECM-Avenue Securities Sdn. Bhd. and Alam Flora Sdn. Bhd. He is a member of the Audit Committee, Nominating Committee and Remuneration Committee. Dato’ Leong Sir Ley, a Malaysian, aged 43 was appointed to the Board on 1st September 2018. Dato’ Leong was graduated with LL.B (Hons) degree from Thames Valley University in 1998. She sat and passed her Certificate of Legal Practice (CLP) in 1999. Dato’ Leong chambered at Messrs. Maxwell Kenion Cowdy & Jones and later on was called to the Bar on 30th September 2000. She ventured into private practice of her own in 2001 with expansion into three branches in providing advisory service to many corporations. In 2016, she stepped down as the firm’s partner. 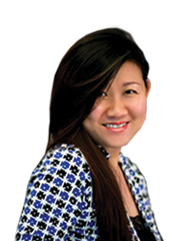 She has vast experience in attending international corporate agreements involving clients from China and Hong Kong with their investment in Malaysia or vice versa. In light of greater opportunity in real estate sector, Dato’ Leong set up Sheng Tai Group Companies in 2012, as real estate consulting firm in Hong Kong and Malaysia to promote Malaysia properties. In 2015, she was conferred the title “Dato’” by the Sultan of Pahang. In 2016, she won the Global Youth Excellence Award at the Outstanding Global Chinese Businessmen Award ceremony in Hong Kong. On the same year, she was also awarded the President’s Volunteer Service Award (PVSA) by the U.S. presidential office by President of the United States of America, Mr. Barack Obama. In 2017, she was appointed to be the Committee Member of Youth Division of Outstanding Chinese Culture Association in Hong Kong and thereafter in 2018, she was appointed to be the Vice President of Outstanding Chinese Culture Association in Hong Kong for a term of 5 years. In 2017, Dato’ Leong ventured into property development and hotel management businesses. She is also a director and shareholder of several private limited companies.